Flower wall art by graphic impressionist Solveig. 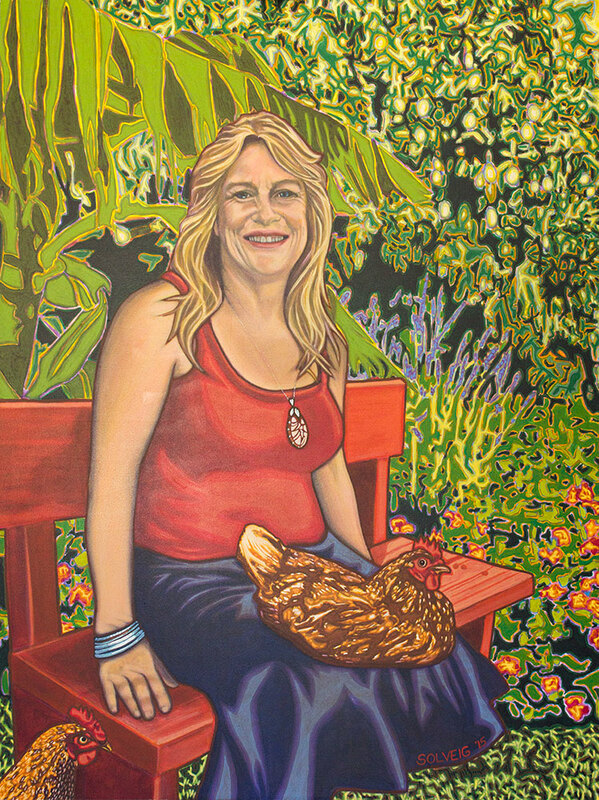 Jeannette is the force behind the Community Gardens and Mullum SEED. Years of visualisation and planning and applying at all levels, has eventuated in a vibrant, valuable resource. As a community stalwart, she has contributed mightily to our town’s unique qualities..